Click on photos to enlarge and post comments. The photo on the left show Panera Bread, Baskin Robbins and Wacky Bear. The photo on the right shows that Panera Bread has left and another restaurant has moved in part of it while the Olive Leaf has moved in the other part. As of September 2011 only Baskin Robbins remains. These photos show that Wacky Bear had vacated the spot next to Baskins Robins and was replaced with Shoot 'Em Up Cinema. These two pictures of Damon's Grill were take in 2004. Damon's Grill is now gone. 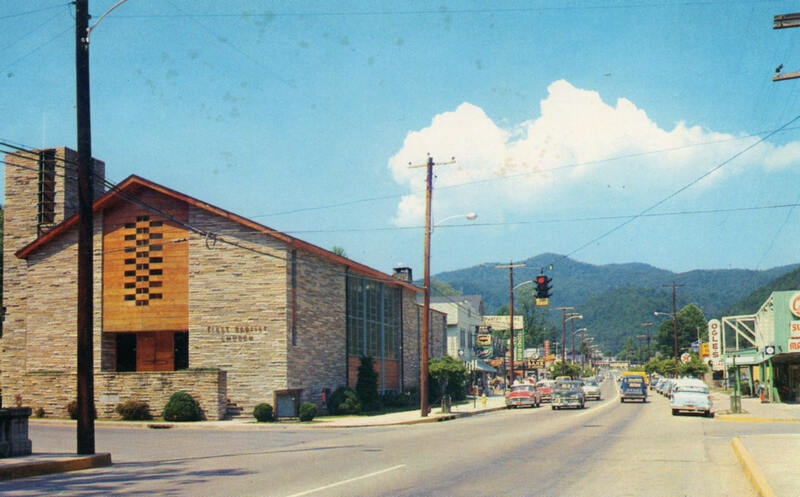 The postcard on the left shows First Baptist Church which used to be on the corner of the Parkway across from what is now Mountain Mall. You can also see Ogle's General Store across from First Baptist church where Mountain Mall now resides. 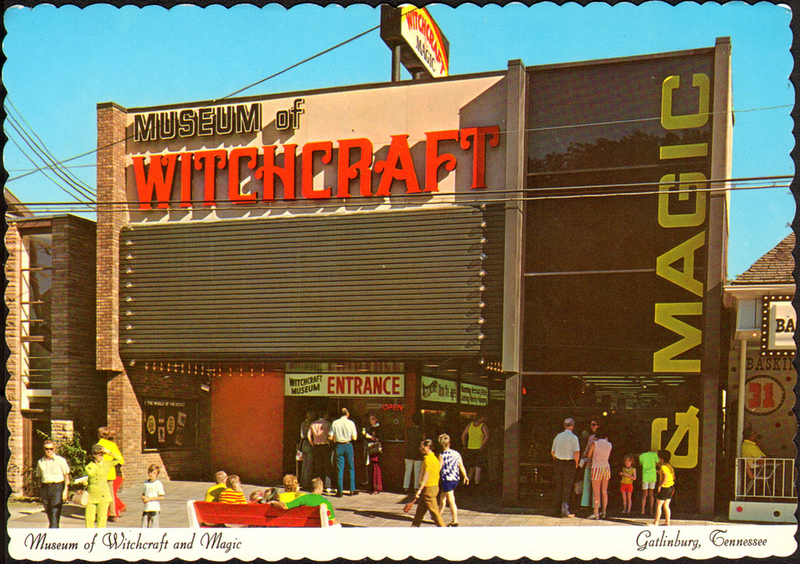 The postcard on the right shows the Museum of Witchcraft & Magic which at one point in the 1970s appears to have been next to the First Baptist Church buidling. I believe that this museum eventually became World of the Unexplained. A pamphlet for World of the Unexplained can be viewed on the Vintage Pamphlet page. This photo shows the location of where First Baptist Church used to be and possibly the Museum of Witchcraft & Magic next to it. This picture showed that by the 2000's a Subway resided at this location. 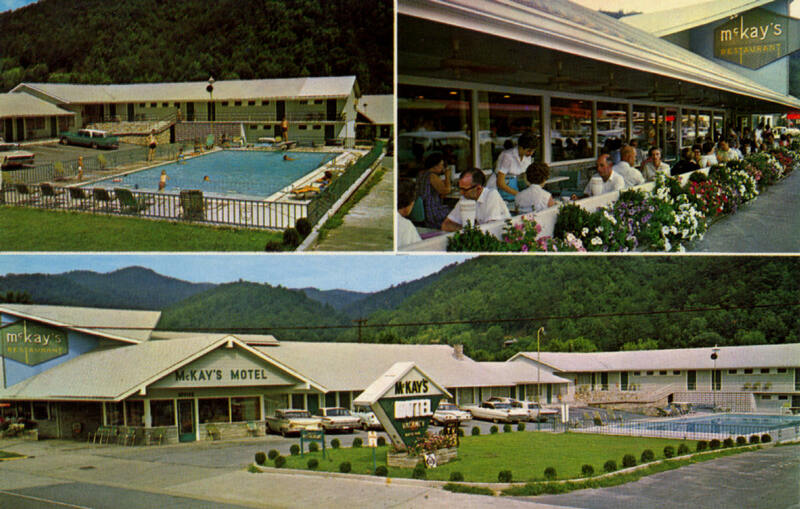 The picture on the left and the postcard on the right show McKays Inn Downtown, formerly known as McKay's Motor Lodge. Some video footage of the Brass Lantern. The footage on the left is a litlle better quality of just the outside, while the footage on the right is of lesser quality but shows the outside and inside. 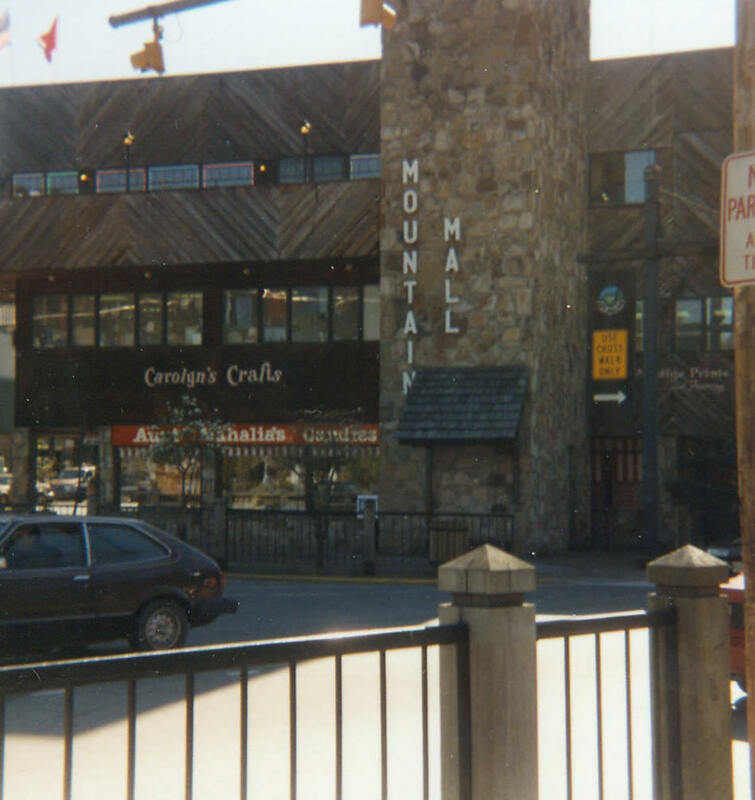 The picture on the left shows the back of Mountain Mall in the late 80's/early 90's. 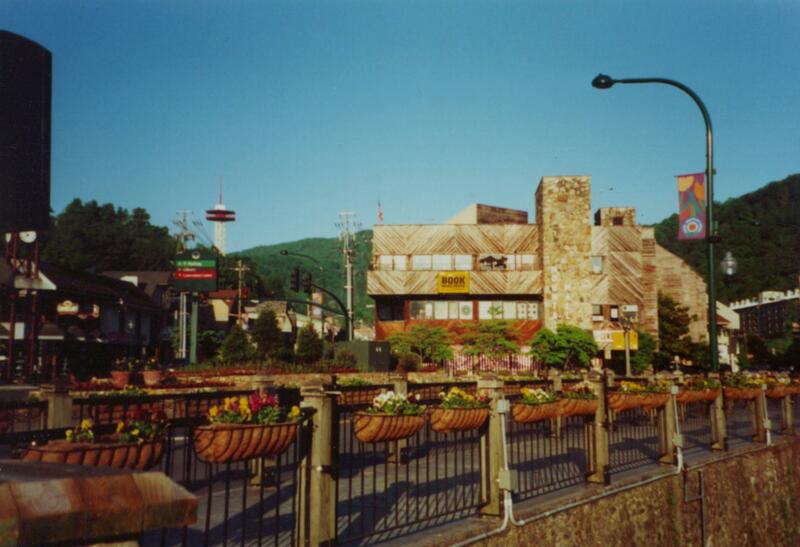 The Picture on the right shows the back of Mountain Mall in the late 90's/early 2000's. Two photos of Mountain Mall directories: The one the left is from the late 80's/early 90's and the one on the right is from the 2000's. Wendy's was a fixture at Mountain Mall for decades. It had tables with nice views of the Parkway. 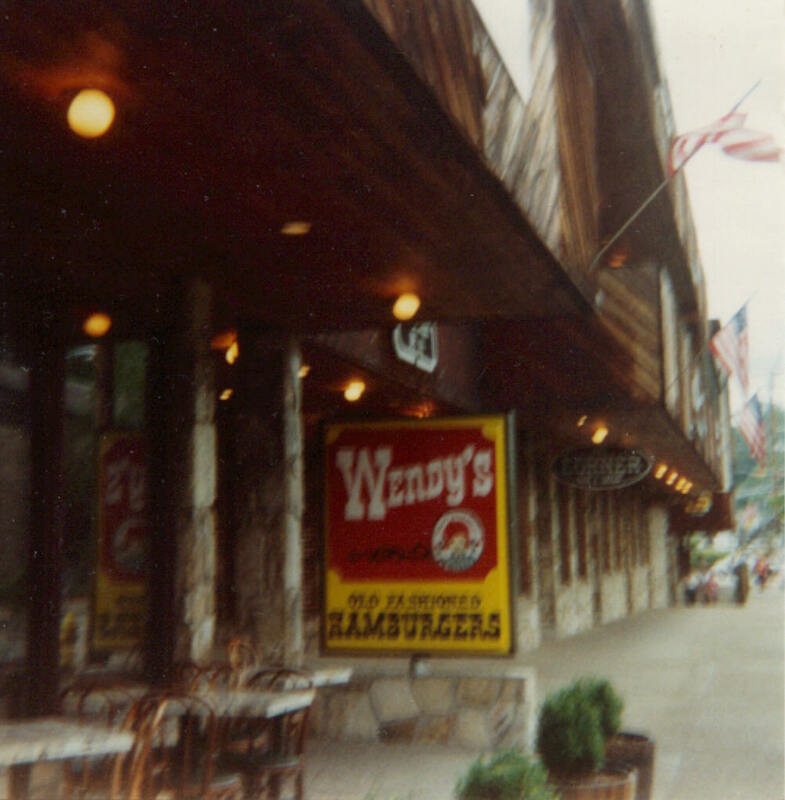 The two photos above show the Wendy's sign outside on the Parkway. 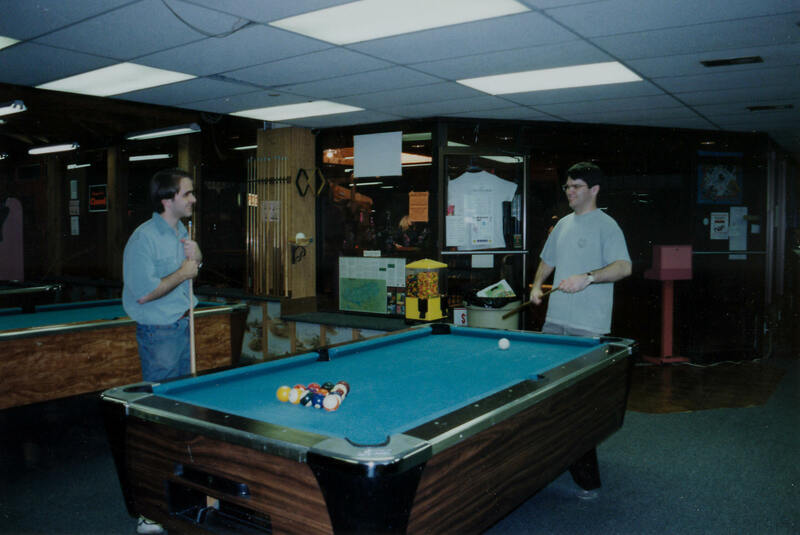 The photo on the left is from the late 80's/early 90's, the photo on the right was from the 2000's. 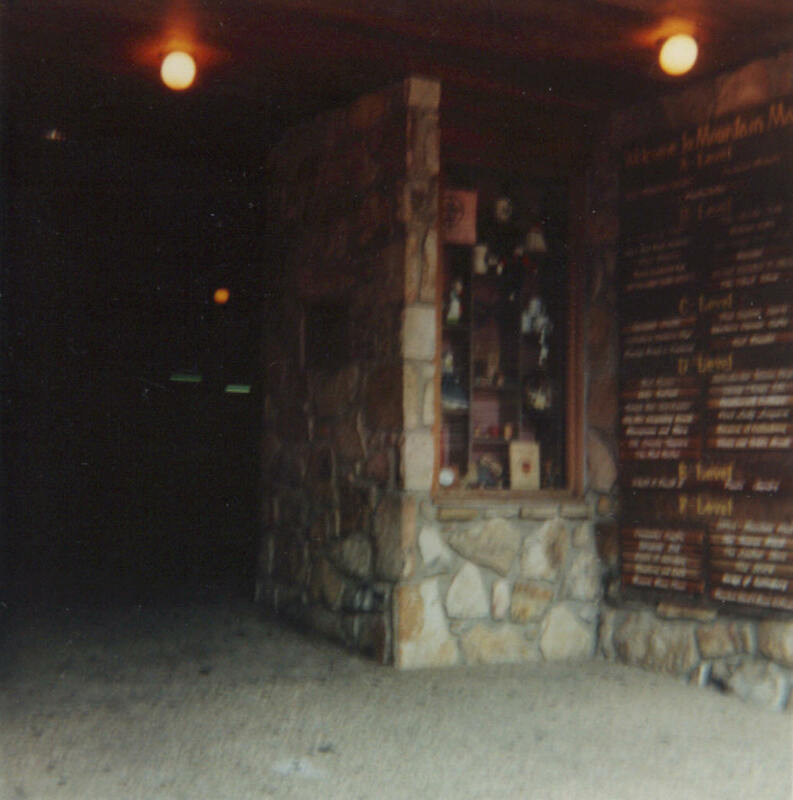 The photo on the left shows the inside entrance to Wendy's. Wendy's vacated Mountain Mall sometime around 2015. On the right is the arcade in Mountain Mall. I beleive this photo was taken in its original location as I believe at some point it moved. The photo on the left show the inside of Mountain Mall on the top level. The fountain in the photo goes all the way to the bottom floor. In the background you can see the current location of the restrooms. This used to be the location of Buckboard Too that has since moved to the Parkway. The restrooms used to be on the same level and down a small hallway on the right side. The photo on the left shows Mountain Mall from the North side of the Parkway. The photo on the left shows the River Road side of Mountain Mall. The video on the right shows footage of Mountain Mall from various years from 2003 through 2009. The photo on the left is the the side of the bank (BB&T I think), that used to be next to Midtown Lodge. The photo on the right shows that this is became Walgreens and the BB&T bank has is now down a door.